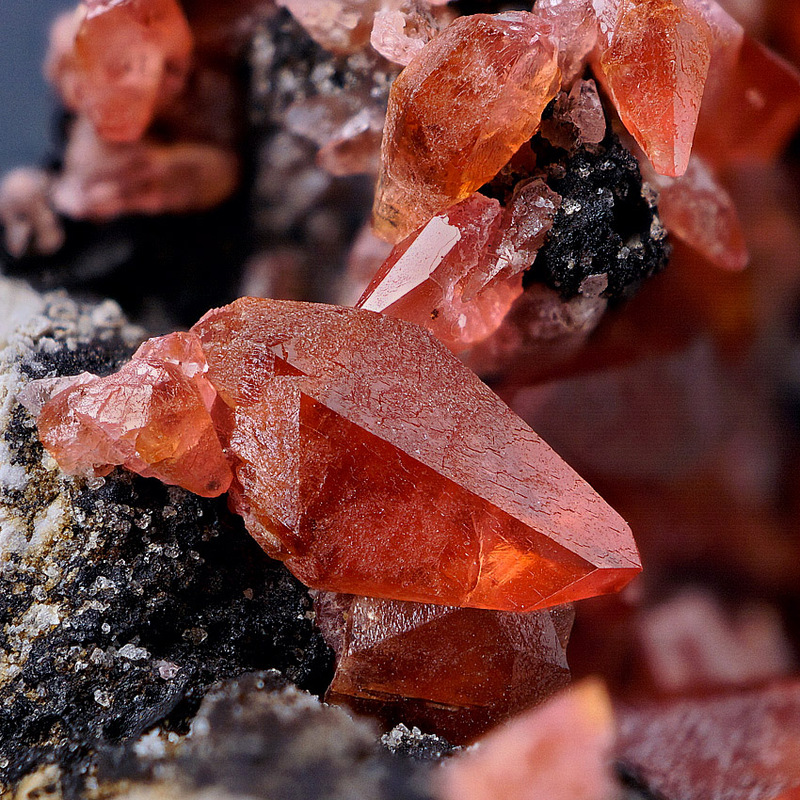 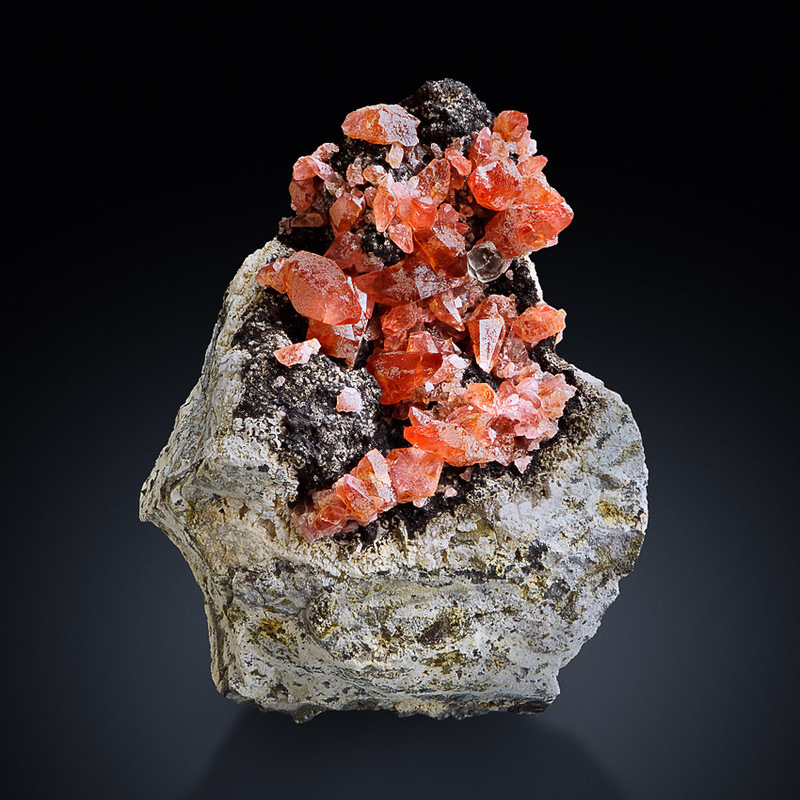 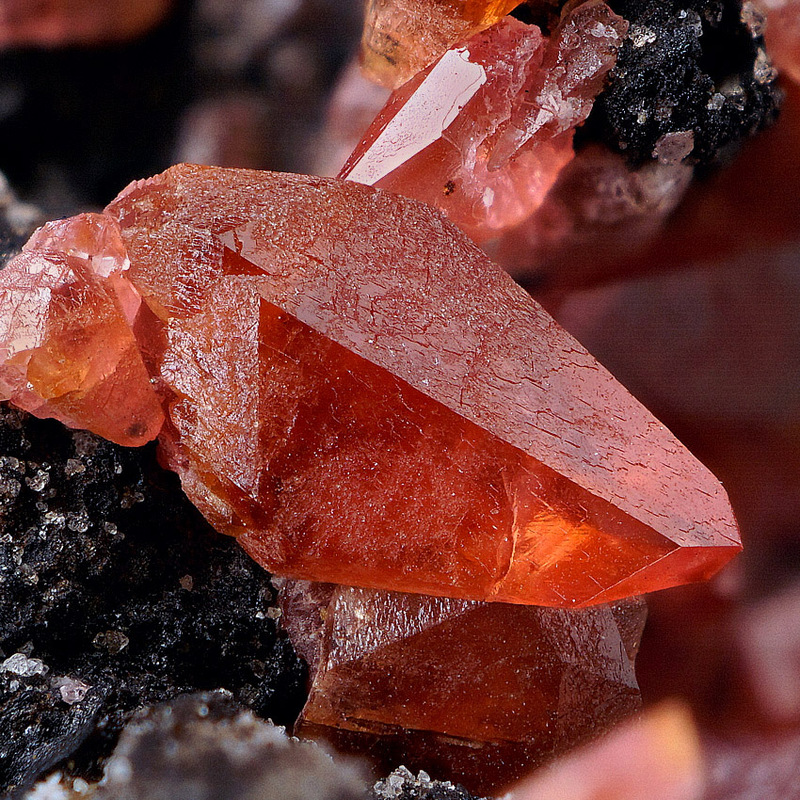 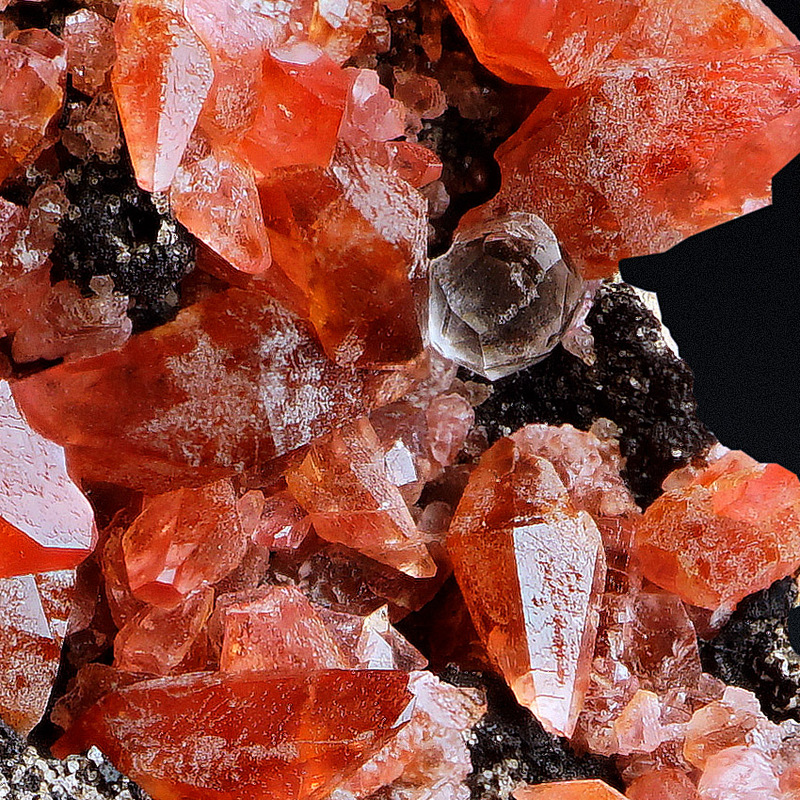 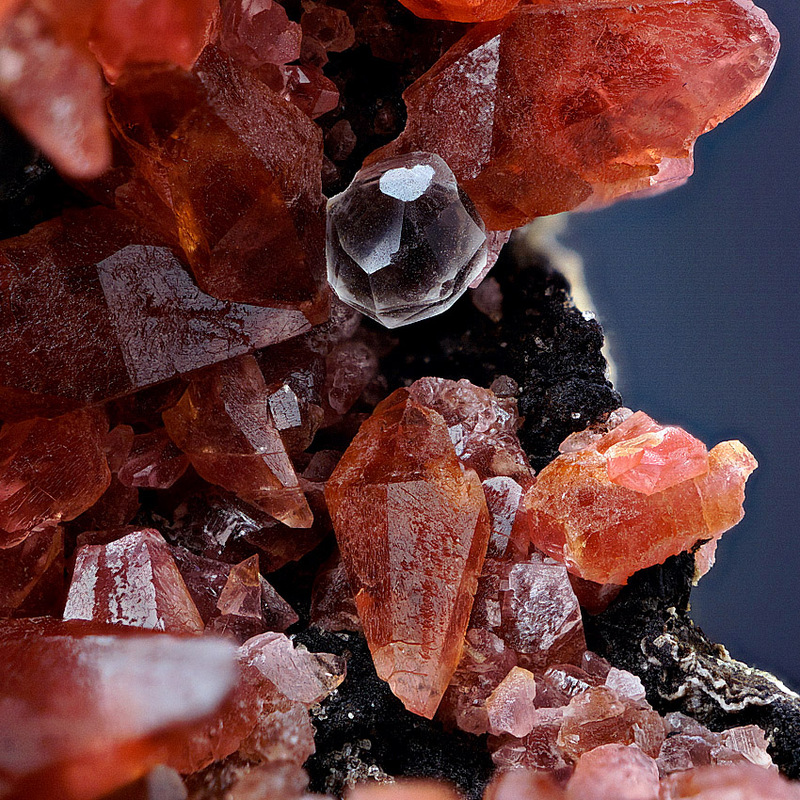 Impressive raspberry-red, scalenohedral rhodochrosite crystals up to 1.1 cm in size - freestanding on a piece of dark manganese-containing matrix from one of the best localities for rhodochrosite: Uchucchacua Mine, Lima Department, Peru. 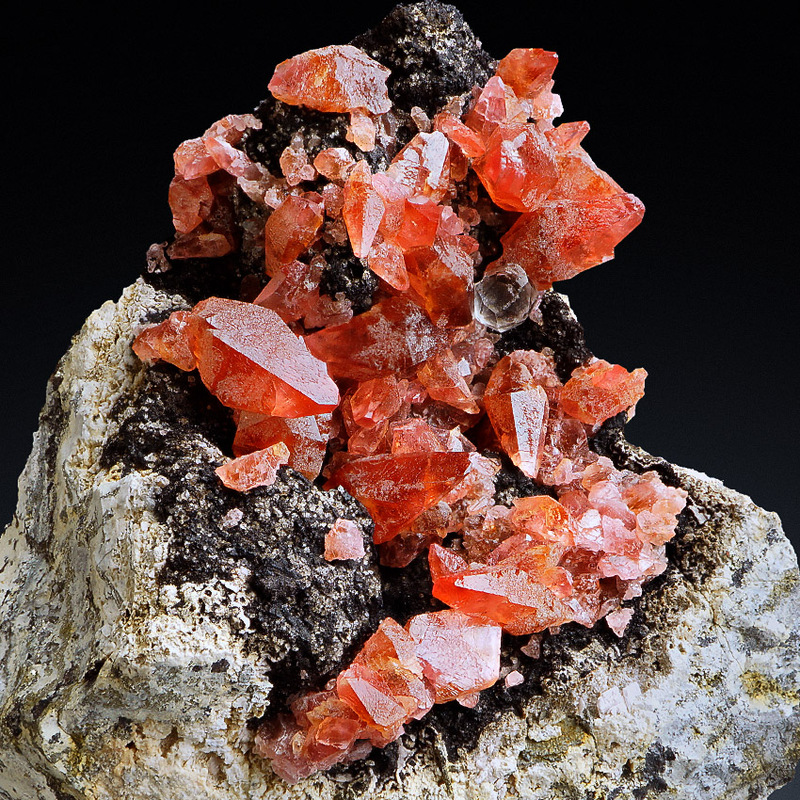 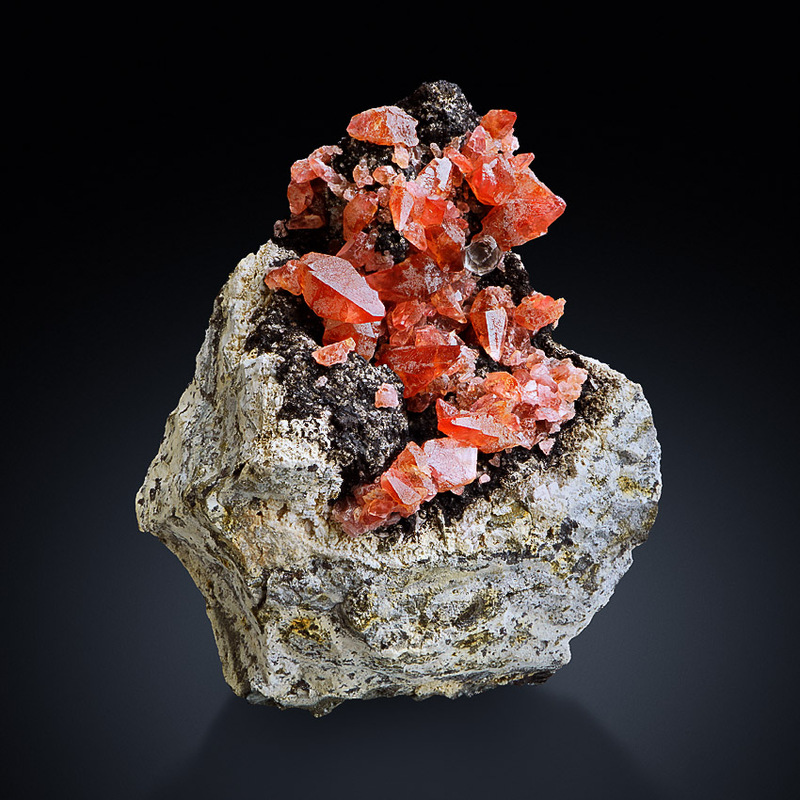 This is an excellent rhodochrosite-specimen with really well colored rhodochrosite crystals. 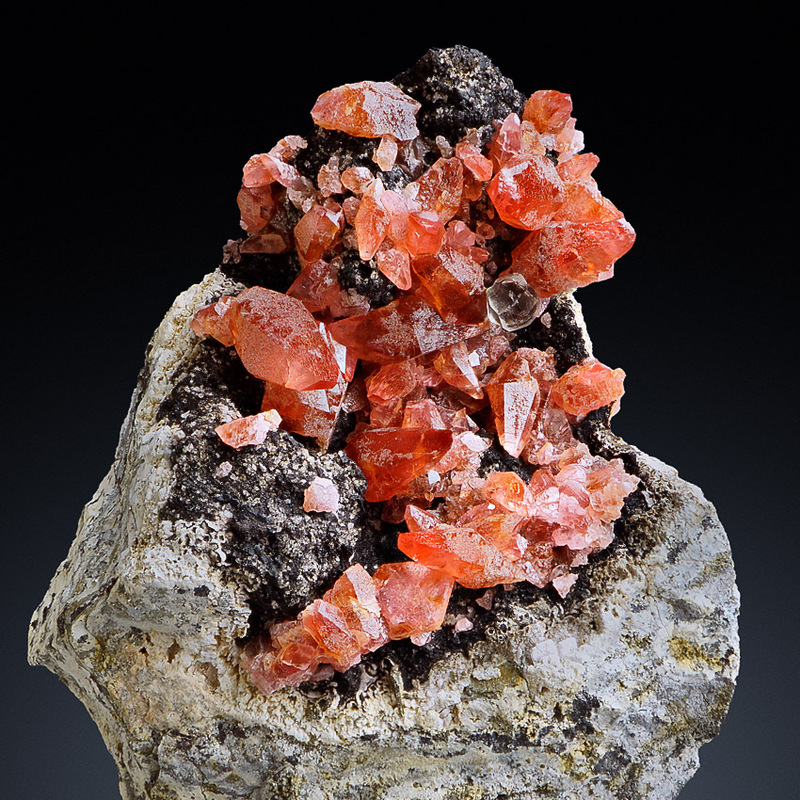 The rhodochrosite is associated with fluorite as a single gemmy and colorless crystal in a complex -nearly pherical- shape (please look at th pictures).